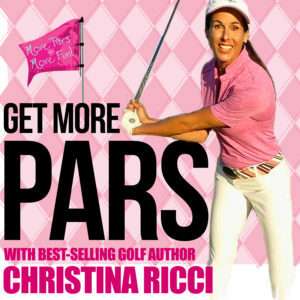 Tip of the Week 20 » Weight Transfer for More Distance – CHRISTINA RICCI MORE PARS! How’s your weight transfer…back…and through? In this Tip of the Week, I share the importance of getting your weight back properly …and then, ensuring that you get it forward. Many hang back and never get their weight fully forward. This effects distance and ball flight.